We often see bottle racks in France with straight arms, but it is rare indeed to find one that has the old form with hand-crafted holes for the bottlenecks. This one is enormous and would make the perfect decorative accent in your wine cellar. Alternatively, it could be converted into a huge chandelier with empty bottles placed in the holders for added oomph in a two-story hallway or dining room. 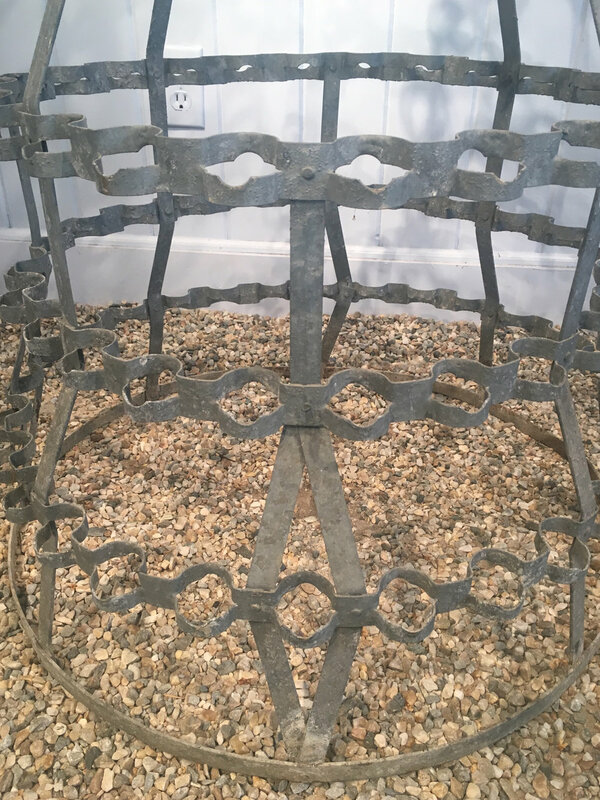 In lovely condition with a beautiful steel blue-grey color, this piece would also make a wonderful focal point in your garden as a trellis for sweet peas or other climbing vines.